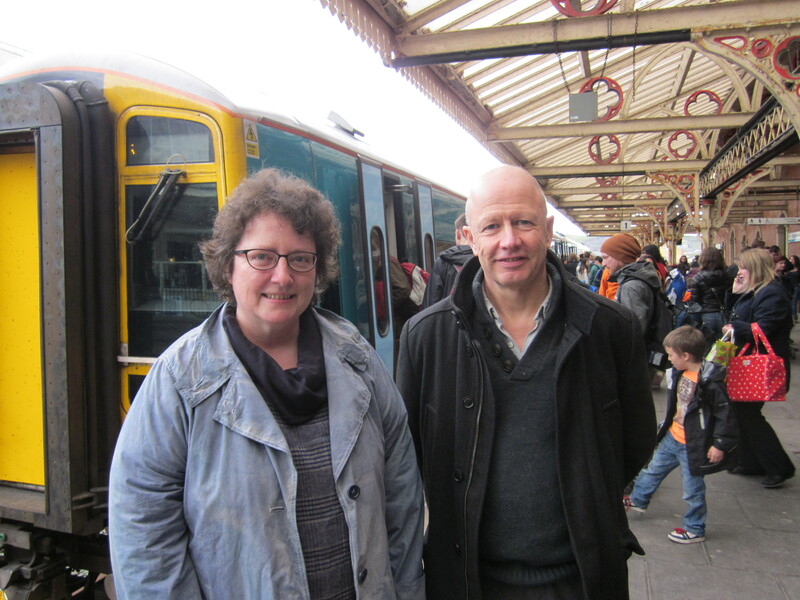 I’m really pleased at the recent statement by the Welsh First Minister, in which he expressed his support for the reopening of a rail link southwards from Aberystwyth through Tregaron and Lampeter. At the recent First Minister’s scrutiny event held in Whitland, in response to a question from me the First Minister stated that he supported the principle of reopening the line. This is the most positive response we have yet received from the Welsh Government on this issue. We all know, and the First Minister noted, that this will not be a short-term project, and that there are engineering obstacles to be overcome as well as the need to devolve rail infrastructure fully to Wales. However, his statement that he supports the move in principle, and sees important benefits for the economy of our area from such a move, is good news. The First Minister recognises that many communities, such as Llanilar, Tregaron and Lampeter, would gain from the project. The Traws-Link Cymru campaign to reopen the line is clearly making an impact, and I look forward to continuing to work with them to press the case for investment in rail infrastructure in the west at every opportunity. There’s a strong case for a full feasibility study to be undertaken. You can see a clip of the meeting by clicking here.